The framework in this blog post is not mine. The framework stems from the excellent minds of Robert Rose and Carla Johnson and is found in their book "Experiences: The 7th Era Of Marketing," specifically Chapter 5. My personal interpretation's to Rose's and Johnson's framework follows below. Most brands have a content creation problem. Too many brands are creating tons of scaleable, generic content that nobody remembers, costs an extreme amount of money to create and distribute, and fails to deliver a return. With 88 million pieces of content addressing "What is blockchain"' why do so many brands think that their blockchain piece will have any impact? The question has been answered. Move on. If you haven't written it by now, you are too late to the party. Don't waste your time and resources. The truth is it's easy to create generic content. It's much harder to create exceptional, relevant, and high performing content. And with so much content fighting for our attention, how can you make yours stand out? Essentially, all quality content can be bucketed into these four groups. And Rose and Johnson make the case that each kind of content is created by an archetype: The Poet, the Professor, the Preacher, and the Promoter. The Poet creates content that shifts how people think. This kind of content is about changing the paradigm, challenging the status quo and delivering a new perspective on everything your audience thought they knew about you, your industry or a topic. The purpose of Poet content is to shift how people think about your industry or about a topic. It is not about positioning your brand as being the best in your industry; it's about positioning your brand as being the first or the most progressive in your industry. Poet content is one of the cleanest ways to bring a distinction to your brand in a crowded marketplace, and it's primary tool is emotion. Indeed, Robert Rose says, "Filling the emotional wells of our audience is the heart of poet content." The Poet wants to make the audience feel something — happiness, anger, motivation. A great example of Poet content is the award-winning #LikeAGirl campaign from Always. This campaign aimed to shift the paradigm on how we use the phrase "like a girl" and empower women all over the world. On the B2B side, one of my favorite pieces of Poet content is HP Studio's "The Wolf"series. The trailer, starring Christian Slater, is a brilliant piece of Poet content, because it aims to shift the paradigm and bring awareness to an ordinarily boring topic —printer security. It accomplishes this by playing on the most primal of emotions in the B2B space — fear. The series brought attention to the dangers of having an insecure printer in the style of the television series, Mr. Robot. It suddenly made the topic of printer security entertaining and appealing, which attracted an audience broader than just IT decision makers..
Robert Rose says that Poet content "doesn't have to teach, deliver an authoritative point of view, or provide any other type of usefulness. It just needs to deliver a compelling emotion that aligns with the brand's point-of-view." Professor content can be "thought leadership" content, but mostly it should be content that is industry-defining and so uniquely valuable to your audience that they and your industry would be worse off if it didn't exist. The goal of Professor content is to position your company as an authority on a particular topic. Rose adds, "Examples include any type of content that offers to help or teach, rather than sell, persuade or make aware." In order to do this, many brands leverage bespoke data and research as the primary driver behind their Professor content. A case in point is Mary Meeker and Kleiner Perkins’ "Internet Trends Report" that informs much of Silicon Valley on what to expect in tech trends over the next 12 months. It has become the most anticipated and widely read piece of content in the tech world, because of its unmatched level of research. Professor content is designed to feed the interests and passions of an informed audience. This means it becomes almost tribal in its nature, relevant only for those who already understand or are already experts on the topic. It is content that coaches the coaches. 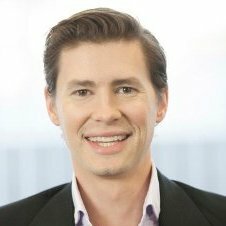 Is your audience engineers in the health tech space? Speak their language and create content that will teach them something new. If done right, Professor content can evolve into your flagship content piece. When it comes to professor content, always aim to be THE benchmark in your industry. Events like Salesforce's Dreamforce, the Harvard Business Review or the TED Talks series are all the benchmark content assets (created by brands) that are unrivaled in their quality and ability to consistently teach their tribe something new. The catch is Professor content is difficult to create. As Rose says, "It must be high quality, well-thought-out content. It is the content we invest in... A common mistake here is the nothing-to-no one phenomenon. A brand is fearful of taking a distinct point of view on a topic, thinking they might disenchant a small segment of a potential audience. Then, by trying to be everything to everyone, they end up being nothing to no one." A great example of professor content with authority is content marketing's favorite son — the Michelin Guide. This content marketing has become the most trusted guide to restaurants. It is both unique and invaluable to the food industry, despite it being made by a tire company. You should be aiming to be the Michelin Guide of your industry. Preacher content is what you create to deliver a regular cadence in an effort to build an established and engaged community. With Preacher content, you want to drive awareness and engagement by directling providing solutions and information to your audience. Professor content is the most easily scalable, because it tends to be the content that directly addresses the target audience's concerns and pain points. In a content strategy, it is often the type of content most discussed and researched, especially if you approach your strategy with an audience-first mindset. As Rose Rose says: "Examples of preacher content include 'top 5 blog posts,' 'listicles," or the 'weekly newsletter.' Or, Preacher content can be part of a social strategy that pushes out curated content." While poet and professor content take large amounts of time, resources and ingenuity to create; preacher content is designed to have a regular cadence in an effort to build an established and engaged community. It is meant to be bite-sized and topical, but no less valuable. A great example of Preacher content are content hubs such as the AMEX Open Forum, LinkedIn's Marketing Solutions blog, Hubspot sales blog and the MOZ blog. The difference between Professor content and Preacher content is Professor content is designed to "teach;" while Preacher content is designed to "inform." Use Preacher content to discuss real-time news, to explain important concepts, to answer customer questions, and to bring attention to new ideas and methodologies. While Rose suggests that Preacher content is great for attracting new audiences, he adds that brands can become too consumed with this archetype: "One of the most common mistakes of a nascent content marketing strategy is assuming that all you need is Preacher content. If there's no substance behind the evangelizing, you'll quickly run out of parishioners." Promoter content is your advertising. It is product-focused, highly branded, and designed to drive customer actions. About 90 percent of all content you see on the web tends to be Promoter content. It is the archetype that is the most heavily used by brands, because it is what brands love to talk about — themselves. In content marketing, one of the biggest misconceptions is that you should not talk about your brand. This is ridiculous. You must talk about your brand, just not all the time. Promoter content is the most relevant of the four archetypes where talking about your brand is appropriate in the context of your audience’s needs and wants. The goal is to lead them towards a desired business action important to the brand. As Robert Rose says: "[Promoter content] should be structured to persuade — to make an argument in our favor." Promoter content should help drive decisions and is best suited for lower funnel actions including driving sales, subscriptions, product demonstrations, downloads, and leads. Powerful Promoter content includes case studies, testimonials, product demonstrations, and reviews. I haven't seen a better product demonstration than Van Damme's epic split for Volvo. But Rose adds a caution: "One of the most common mistake that content marketers make is inserting Promoter content into Professor content and calling that a differentiated experience. Think about that whitepaper that's really just a case study in disguise. Occasionally a piece of content may contain elements of two or three archetypes, but it is not encouraged to approach the four content archetypes in this way. Each archetype has a specific purpose, and it is better to create content that doubles down on their strengths rather than trying to create content that attempts to do everything. I think Robert Rose sums up this sentiment nicely. "Think about the last time you saw a TV commercial clearly advertising the existence of a new product, while it taught you some important lesson in an emotional way. Never seen it? I don't think we have either." A complete content strategy may use all four content archetypes, but it is not necessary. What's more important is understanding where each archetype is strongest in relation to the buyer funnel and align your marketing objective accordingly. 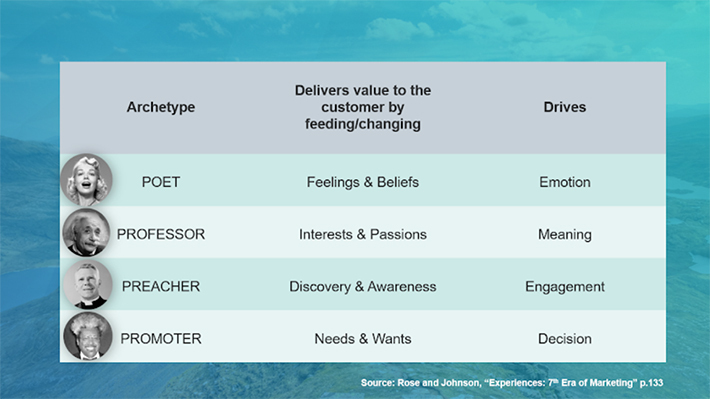 When creating Poet and Professor content, it is important to recognize that these archetypes normally work best at higher awareness and consideration phases in the funnel. They are designed to shift thinking and to own conversations for the brand — not to generate leads or sales. The success of such content is best measured by the level of topic ownership your brand acquires, or by an improvement in brand awareness or sentiment. The purposes and measurement of poet and professor content should be aligned to realistic outcomes and audience actions. Few companies buy an HP printer after seeing "The Wolf"; it is unrealistic to have that expectation. However, the content has put printer security on the radar, which aligns the profile of HP with the topic of printer security. This will organically lead to more lead opportunities. Likewise, your Professor content whitepaper may get downloads, but those emails are likely to be subscribers rather than customers. They downloaded the whitepaper because they wanted the whitepaper, not your SaaS product. Figure out how to continue to nurture that subscriber audience (perhaps with more Professor or even Preacher content). Preacher content is more mid-funnel delivering snack-able information to keep attracted subscribers engaged. However, their intent is still nominally Informational. You can use Preacher content to encourage a behavior change from Informational intent to Transactional intent by creating audience-focused content that answers specific questions and provides solutions that your brand is the choice. Promoter content should only be aimed at the customer. Measure this with engagements on calls-to-action that are aligned to your business and marketing goals. These can include MQLs and SQLs and even conversions. For me, discovering this simple framework was a light bulb moment. I found that it was much easier to create unique content with purpose just by applying one of these four archetype principals. I hope this helps you too. 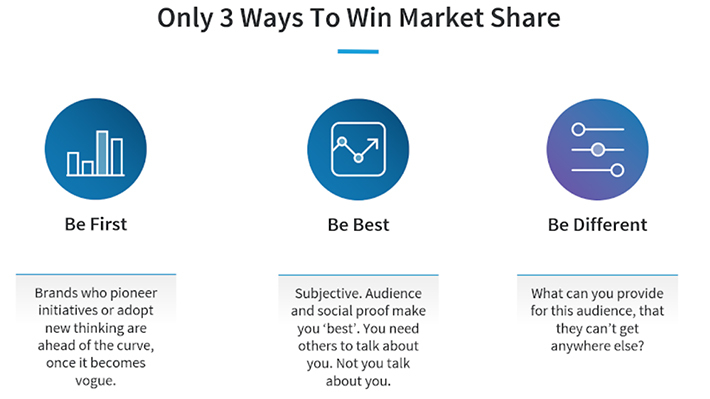 For more content examining content, subscribe to the LinkedIn Marketing Blog.